New England Army Mars Drill! Bob Mims – WA1OEZ has announced that Army MARS will conduct a Region 1 (New England wide) exercise “All New England 2004” on Sat. March 6th from 0900 to 1200 local. The Exercise will involve coordination between all six New England states. Digital PACTOR Gateways and VHF Packet BBS’s will be used to move traffic, and tests will be made of the MARS ALE (Automatic Link Establishment) System. Further information on the Massachusetts portion of the exercise can be obtained from Bob Mims, WA1OEZ at wa1oez@arrl.net. I will have with me all the HQ background info, as well as all the handouts created for the past two Field Days, the Boston Museum of Science Astronomy Day event last May, and the Tewksbury Air & Space Day event last June. Some of the intro I plan to give will be similar to the ‘Magic In The Sky’ piece in the January issue of CQ. If I take along any ‘show & tell’ items for Jordan and the crew, they will include a VX-150, a twinlead J-pole, and an 80M PSK-31 ‘warbler.’ Bringing along the FT-817 is another possibility. I will definitely have some Field Day photos. There’s plenty of lead time, so I’m open to suggestions. what equipment you may need to bring. EMA Section Manager K9HI has today appointed Ed Parish, K1EP as the section’s Technical Coordinator. Parish replaces Greg Richardson, N1QLS who stepped down from the TC position earlier this month due to increased work responsibilities. Ed Parish was first licensed as WA2SCA in the early 70’s. He holds an Amateur Extra license and is a Life Member of the ARRL, a former Vice President of the Boston (MA) Amateur Radio Club and current treasurer of the Yankee Clipper Contest Club. In the early 70’s, Ed built his first receiver and transmitter, the venerable Heathkit HR-10B and DX-60B and was on the air mostly on CW from his parent’s basement. While earning Electrical Engineering degrees from Rensselaer Polytechnic Institute in Troy, New York in the mid-70’s, Ed became quite active in the club, serving as an officer as well as participating in many VHF contesting activities. 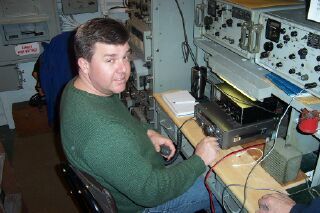 Those activities continue today, as Ed is a 6M operator from the W2SZ/1 VHF contesting station from Mt. Greylock, MA in June and September. In the last decade, Ed has also become active in HF contesting, participating in numerous domestic and international contests. A resident of North Reading, MA, K1EP is a hardware engineering consultant specializing in networking, RF, and microcontroller design. The Council of Eastern Massachusetts Amateur Radio Clubs will hold its next meeting on Saturday, March 13, 2004 from 0900-1300 at the Marlborough Emergency Operations Center (Central Fire Station), 215 Maple Street (Route 85) in Marlborough. Algonquin Amateur Radio Club is the host organization for this meeting. AARC will provide the morning coffee and donuts, and a pizza lunch. 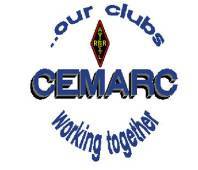 A preliminary list of agenda items, a request for additions, and directions to the EOC are on the CEMARC Web Page at: http://www.qsl.net/cemarc. Questions? Send email to n1dhw@ema.arrl.org. On Saturday Feb 21st, the Eastern Mass ARES staff will be conducting it’s annual winter Simulated Emergency Test (SET). The goal of the test is to simulate a winter storm driven, large scale, long term power outage. This is an ideal exercise to participate from your home. The exercise will begin at 1000am and end sometime after 1200pm local time. Please tune to your local RACES 2M repeater frequency and/or to 146.64 to participate. All ARES members and interested amateurs are invited and encourage to participate. The events of August 2003 which plunged much of the eastern part of the country into darkness has once again illustrated our vulnerability to massive power outages and the many problems associated with loss of power. It also once again bought out the importance of amateur radio communications. Please click on the CCARES Plan to see details of the exercise in that district. Please click on the Southeast Massachusetts ARES Drill  Plan to see details of the exercise in that district. Please click on the Middlesex ARES Drill  Plan to see details of the exercise in that district. Please follow directions as laid out for the Metro Boston district above, and please guard RACES repeaters assignned to you during the exercise. ….Coastal Flood Warning in effect for Cape Cod for Thursday Morning High Tide Cycle for a minor to moderate coastal flood event…. ….Wind Advisory Extended Through This Morning for Cape Cod and Nantucket with the greatest threat for strongest winds over the Outer Cape and Nantucket…. …..Please Report Any Coastal Flooding and coastal flood damage to NWS Taunton. Also report any wind damage and wind gusts 46 MPH or greater to NWS Taunton…. A Coastal Flood Warning is in effect for Cape Cod for the Thursfay Morning High Tide Cycle. A largely minor coastal flood situation will develop over Cape Cod during this morning’s high tide cycle. Pockets of moderate coastal flooding could develop in the most exposed location. Across Nantucket Island and East Coastal Massachusetts, the most exposed locations could see some splashover at the time of high tide. Locations most vulnerable across East Coastal Massachusetts include the Cape Ann area, and vulnerable locations of Hull and Scituate, Mass. Please report any coastal flooding or coastal flood damage to NWS Taunton. The Wind Advisory continues through this morning for Cape Cod and Nantucket. The wind in combination with the wet snow that fell yesterday could result in isolated tree and power line damage. Please report any damage or wind gusts 46 MPH or greater to NWS Taunton. This will be the only statement concerning this situation. PERHAPS MODERATE FLOODING IS EXPECTED. FEET ON CAPE COD DURING HIGH TIDE THIS MORNING. ASTRONOMICALLY HIGH TIDE AND 15 TO 20 FOOT SEAS JUST OFFSHORE. FLOODED FOR A SHORT TIME NEAREST HIGH TIDE DUE TO LARGE SURF AND HIGH TIDES. FOR CHATHAM OUTER HARBOR, A STORM TIDE OF 9.3 MLLW IS FORECAST AROUND 11 AM. A COASTAL FLOOD WARNING MEANS THAT THE COASTAL FLOODING IS IMMINENT. STRONG WINDS WHICH AFFECTED THE VINEYARD LAST NIGHT HAVE SUBSIDED. PROVINCETOWN AND TRURO TO CHATHAM AND NANTUCKET. WINDS WILL GRADUALLY DIMINISH THIS AFTERNOON. 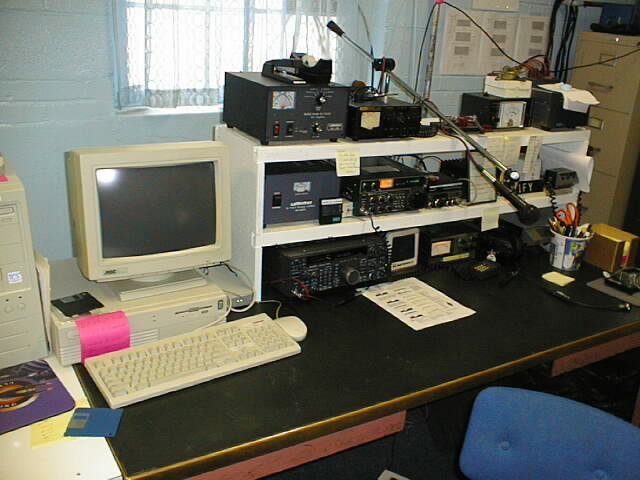 At the 17 Feb 2004 MARA club meeting, Carl Aveni N1FY announced a regular Saturday night Skywarn/EmComm net on the Bridgewater repeater (147.180+) commencing at 8 PM. The Framingham Amateur Radio Association will hold its annual  License In A Weekend class March 12-14 at the FARA radio room in the basement of the Danforth Museum Building on Lexington Street, Framingham. The class will prepare candidates for the entry level Technician class license. A $35 fee includes text, lunch, and the FCC examination fee. For more information, call 508-879-8097 or 508-881-2301  or visit http://www.fara.org/liaw04.html. Batteries in your radio; batteries in your car; batteries in your phone. Why one kind and not another? When you need them, you want to depend on them. You want to get the best out of them. Leo Burke, KA1LN knows, and he will share the practical and safe points at the Boston Amateur Radio Club’s February General meeting. He will tell us about the proper charging of several types and how to make sure that they are ready in an emergency. Leo will also let us in on the future of packaged power. The BARC General meeting is this Thursday, 19 February at the Salvation Army HQ in Boston,  starting at 1900. Parking is free in a private secure lot next to the SA Building. Directions, a map and other details can be found on the club web site. the talk-in frequency to have the gate opened. Members of the Eastern Massachusetts ARRL staff met on Thursday, February 12, 2004 in Burlington for their quarterly-annual staff meeting. Those present were: Phil Temples, K9HI, Section Manager; Bob Salow, WA1IDA, Assistant Section Manager; Elaine Chase, N1GTB, Assistant Section Manager; Mike Neilsen, W1MPN, Section Emergency Coordinator; Rob Macedo, KD1CY, Assistant Section Emergency Coordinator; Frank Murphy, N1DHW, Affiliated Club Coordinator; Mike Ardai, N1IST, Bulletin Manager; Mike Goldberg, K1LJN, Official Observer Coordinator; Shawn O’Donnell, K3HI, State Government Liaison. Those staff members who were unable to attend: Stan Laine, WA1ECF, Assistant SM; Jim Duarte, N1IV, Public Information Coordinator; Jim Ward, N1LKJ, Section Traffic Manager. The meeting was called to order at approximately 6:40 pm. Phil announced the resignation of Technical Coordinator Greg Richardson, N1QLS. Phil indicated that a potential candidate for the vacant position has already been in contact with Phil. K9HI will consider other qualified applicants as well. Mike Goldberg, K1LJN reported that he attended the retirement party of outgoing FCC New England Engineer-in-charge Vince Kajunski. Mike mediated a reported interference case involving an FM simplex EchoLink node. He also forwarded a malicious interference case in Southern California to Riley Hollingsworth. K1LJN reported that many OO appointees have not been filing monthly reports. KlLJN also announced that he is seeking an assistant to help with OOC matters. Frank Murphy, N1DHW reported on his affiliated club activities. He attended six meetings in the recent past. Frank has been very involved with Salvation Team Emergency Radio Network communications activities. N1DHW presented about SATERN as a guest speaker at the Boston ARC. Discussion ensued about the CEMARC Youth Net. The Youth Net was suspended to lack of activity. With the activation of an MMRA EchoLink Node it is thought that the Net might enjoy greater success. Phil Temples, K9HI reported on several recent items, including: a possible letter-writing project in support of the Amateur Radio Spectrum Protection Act (H.R. 713, S. 537) and the Amateur Radio Emergency Communications  Consistency Act (H.R. 1478); potential funding of Eastern Massachusetts emergency communications projects from Citizens Corps; a recent ARRL financial grant (The “Big Project”) to a Cambridge elementary school; attendance at the recent ARRL New England Division Cabinet meeting in Springfield; the EMA ARRL Speakers List; efforts by PIO KA1MOM to be featured on a talk-show on WBZ radio. Phil passed out the latest list of EMA section field organization appointments. Some list corrections were given to Phil from WA1IDA. Shawn O’Donnell, K3HI reported that there has been no movement on the “hands-free” cellular telephone legislation on Beacon Hill. He reminded all that there is almost 11 months before these bills will expire. Shawn distributed a well-written document with “Do’s and Don’ts” for communicating with legislators. (This document will soon be posted at http://sgl.ema.arrl.org.) Discussion ensued on a plan to construct a web page that might allow users to select “canned text” to “painlessly” produce a letter to their respective legislators to comment on pending congressional bills. Mike Neilsen, W1MPN and Rob Macedo, KD1CY jointly reported on the multitude of ARES-related activities in Eastern Massachusetts over recent months. Those activities included: an emergency communications workshop in Littleton; ARES presentation to the Genesis ARS; annual Section Emergency Test (SET); SKYWARN activation for strong winds; Plymouth and CC ARES Districts self-activation due to a widespread power failure; major Nor’easter SKYWARN activation report; New Year’s Day limited ARES activation for Red Cross and Salvation Army for Boston First Night; Red Cross and ARES Communications Committee update; ARES leadership meeting; Cape Cod ARES drill; SKYWARN leadership meeting. Upcoming ARES and SKYWARN events include: ARES exercise on 2/21/2004; ARECC test at the SEOC in Framingham, February 2/28/2004; numerous SKYWARN Training Seminars; NTS-ARES Coordination meeting; Emergency communications workshop in Hingham, 4/3/2004; future Red Cross/ARES Communications Committee meetings. (A comprehensive list can soon be found on the EMA ARES web site at http://ares.ema.arrl.org). Discussion ensued about Citizen Corps funding opportunities, and whether the monies available for Amateur Radio via Citizen Corps and those for cities and towns for CERT were one-in-the-same. Mike Ardai, N1IST reported on his recent listserv activities. The FCC today agreed yesterday to go forward with a Notice of Proposed Rule Making (NPRM) on the subject of Broadband over Power Line (BPL). The NPRM is the next step in the BPL proceeding, which began last April with a Notice of Inquiry that attracted more than 5100 comments–many from the amateur community. Hello to all. At the last NHARES leadership meeting, it was decided to run an initial test of using 2m SSB and /or 6m SSB as an alternative to 75m and the K1JY system. The test will be on Feb. 22 (Sunday) from 0930 to 1200. All NHARES members with 2m SSB or 6m SSB with any type of antennas (fixed or mobile or portable) are requested to participate. Vertical polarization is preferred, but we want to test all types…yagis, omnis…whatever we have. Those of you who know how bad 75m phone has been, know how important it is that we come up with an alternative. Please put this on your schedule and try to participate. Further details are to follow. Thanks to all of you for your help and dedication in this time of need! Section Manager Phil Temples, K9HI today accepted the resignation of section Technical Coordinator Greg Richardson, N1QLS. A 35-year veteran of the electronics industry, Richardson is the Communications Supervisor for the Boston Fire Department, and a member of several public safety frequency coordinating committees. 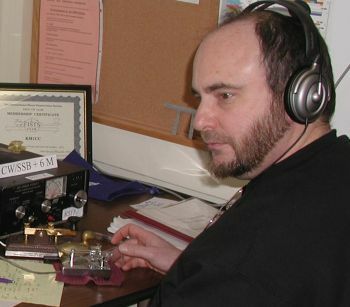 N1QLS is an active member of the Mystic Valley Amateur Radio Group; he also serves as 440 MHz band coordinator for the New England Spectrum Management Council. 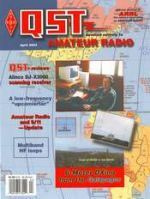 Larry Coyle, K1QW of Needham, MA is the author of, “An Automatic Audio Volume Leveler” appearing in the February, 2004 issue of QST. Coyle’s article addresses the subpar performance of automatic gain controls of receivers and suggests practical solutions. The Eastern Mass ARES staff will be conducting its annual winter Simulated Emergency Test (SET). 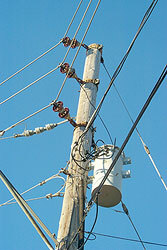 The goal of the test is to simulate a winter storm-driven, large scale, long-term power outage. This is an ideal exercise to participate from your home. The exercise will begin at 1000 a.m. and end sometime after 1200 p.m. local time. The events of August, 2003 which plunged much of the eastern part of the country into darkness has once again illustrated our vulnerability to massive power outages and the many problems associated with loss of power. It also once again bought out the importance of amateur radio communications. You may also email me directly if you have any further questions to: emgmgt@comcast.net. Members of the USS Cassin Young Amateur Radio Club (WW2DD) held their first official meeting recently. 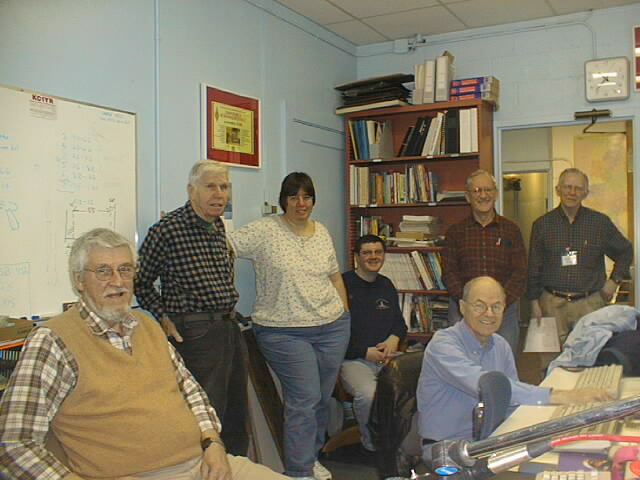 Those attending the Saturday, February 7, 2004 meeting were: W1QWT, KB6YNO, Bob Quinn, NS1N, K1WCC, KC1HO. The USS Cassin Young ARC’s next meeting is April 10; the club plans to hold meetings every other month. The historic destroyer is situated next to the USS Constitution in the Old Boston Navy Yard in Charlestown. The Cassin Young’s World War II call sign was NTTH; its tactical call sign was “CLINKER”. 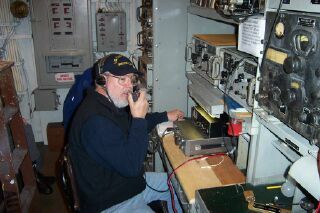 For more information on the club, visit the USS Cassin Young ARC web site at: http://www.qsl.net/ww2dd/.